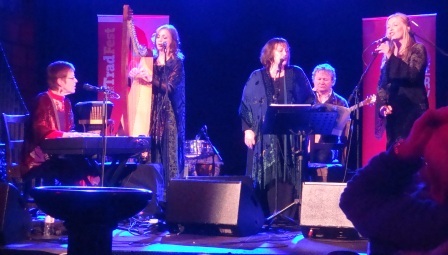 The pièce de résistance for me at Trad Fest this year was seeing T With The Maggies at St. Werburgh’s church. 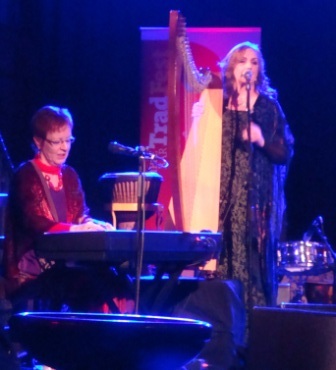 Although this was one of the performances at Trad Fest requiring a paid ticket, it was worth every cent (and more). You could easily walk by St. Werburgh’s and not notice it was a church. A 12th century building literally sandwiched between two 20th century structures. Although the church is in need of a little TLC, there’s a beautiful organ in the back and the acoustics are first rate. 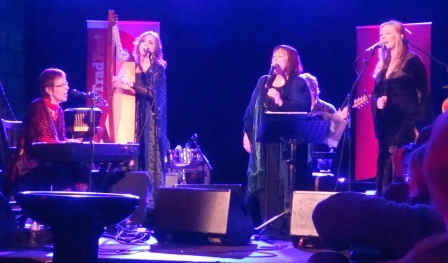 For those who may not be aware, T With the Maggies is a combination of the absolute finest in Irish female trad artists – Tríona and Maighread Ní Dhomhnaill, Mairéad Ní Mhaonaigh and Moya Brennan. You would be hard pressed to top a lineup like that. 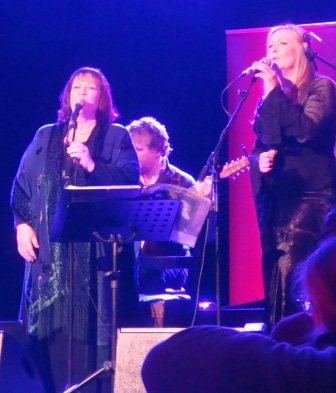 Tonight, the ladies were accompanied by Manus Lunny and Jim Higgins. What an amazing show! When they began Ógánaigh Uasail I got a lump in my throat, it was so beautiful (it’s also one of my favorites on their CD). The hour and a half show went by too quickly as they performed many of the tunes from the record as well as other traditional favorites. Through the whole concert, I couldn’t help feeling as if I were in the presence of Trad Royalty. An unforgettable experience. you lucky girrrrrrrl! going to amazon to find their cd now… im so jealous! Sean-Nos NW is going to be at Marylhusrt in 2 weeks… yeah!